LONDON - Great news comes from Big G. Google’s just received the planning permission to build its new European Headquarters at King’s Cross, one of the most important London tube station. The new millionaire project called Google KX (ready in 2016) is made by Allford Hall Monaghan Morris and it will be not only a place for developers, gurus, mentors and entrepreneurs but it will become a reference point for everyone wants to improve own knowledge about IT World. 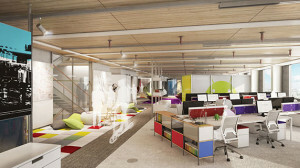 The Big G has already been working in London with its Google London Campus, a co-working space in the heart of East London’s Tech City that’s powered by Google to offer startups the tools they need to succeed: seven floors open to members and residents, five of them are Hub Operation Offices. 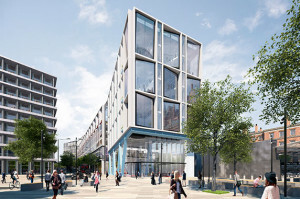 Google’s new one million square foot headquarters in King’s Cross – said Allford Hall Monaghan Morris – is composed of a campus within a building that engages with a new yet historical piece of London. 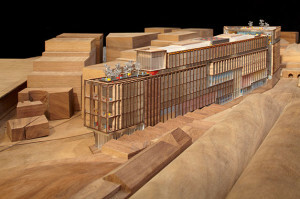 The new building – sited on a 300m (1000ft) tapering plot that rises to the north and is defined by King’s Boulevard – runs near parallel to the railway cutting, connecting Granary Square to the north with Battle Bridge Place to the south.